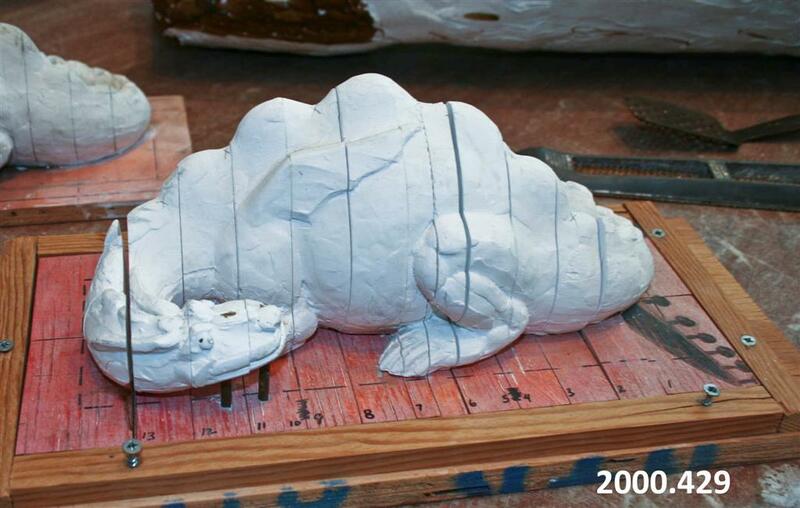 Plaster model used for scaling to final size. Divided into several sections, each section can be removed to make the enlarging process more precise. Fredericks, Marshall M., 1908-1998, “Friendly Dragon, Model for Scaling, [Plaster],” Marshall M. Fredericks Sculpture Museum, accessed April 22, 2019, http://omeka.svsu.edu/items/show/6628.